Convergence 2014 is only a few days away, and that means that my presentation (UBAX002: How2: 40+ tips in 90 minutes in Microsoft Dynamics AX 2012) is not that far away either. 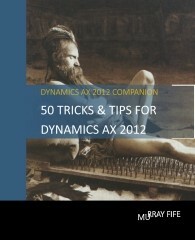 A few days ago I dropped you all a note that I had put together a companion book (50 Tricks & Tips for Dynamics AX 2012) that I will be giving away at the presentation if you have the chance to attend it – but I found out that there will be close to 200 people at the presentation, which means that my 40+ copies will not go very far. To rectify the solution, for today only (Feb 28th) you will be able to download a Kindle copy of the book from Amazon for free. That way everyone is a winner. For all of you that can’t make it to Convergence then pick up a copy anyway if you like and read it aloud with a New Zealand accent and it will be just like you were there. 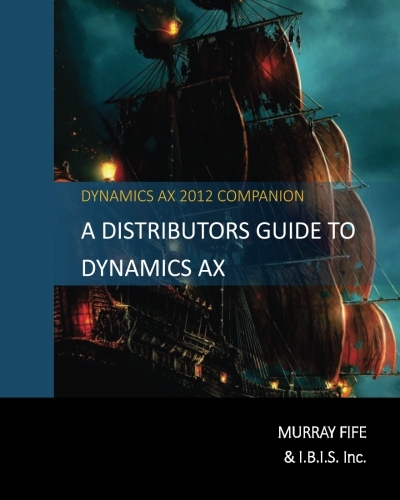 A couple of months ago I published the first edition of my Introduction to Dynamics AX book, which illustrated the “cooking demo” that we usually start with when we are giving foundation demonstrations for Dynamics AX 2012. This weekend we updated the book to include another 200+ pages that also illustrate all of the common functional features that we show during a soup to nuts demonstration of Dynamics AX, making it a great companion book now for anyone who is trying to figure out at a high level how Dynamics AX works, and also what does it do. The Kindle edition of this book is in the works, but unfortunately with Convergence coming up, within a week or so that is consuming a lot of my time, it may be a couple of weeks before it’s available. Last week we test drove an idea at a demo, and rather than giving them a PowerPoint, we created a book as a handout that we gave to almost all of the people there. It shows all of the initial orientation demonstration that includes navigation, reporting etc. and also includes screen shots of all the areas within Dynamics AX that a Distribution based company would be interested in including all of the Advanced Supply Chain Software add ins that we have developed here at I.B.I.S. Some people saw this on my desk and asked if for could get a copy, so I have made it available to everyone through CreateSpace, and Amazon (within the next 5 days) as well. Also to make it a little more affordable, I republished it as a Black & White version rather than the Deluxe Full Color that I used last week. So, if you want a hard copy, then just follow this link: https://www.createspace.com/4678806. Also, for my loyal readers, use this discount code:YW8YHP6J to get an additional 25% off the list price. With Convergence coming up I have been preparing for my presentation that I’ll be giving on the Friday of that week ( UBAX002: How2: 40+ tips in 90 minutes in Microsoft Dynamics AX 2012 ) – which if you are attending Convergence I would love to see you there.